Nature never fails to impress and the continent of Africa is so rich in flora and fauna that its bounty has been a source of food, moisture, building materials, clothing and firewood for centuries. We turn the spotlight on the Weeping wattle tree, an important plant in traditional African medicine and an example of the ingenious ways humans have learnt to survive in the wilderness. The Weeping Wattle tree is a semi-deciduous tree with a spreading, uneven canopy found in tropical and southern Africa. It derives its name from the large quantities of liquid exuded by spittlebugs when they are actively feeding off the sap in the twigs of the plant. It is sometimes referred to as the African black wood, African false wattle, Rhodesian black wattle, and Rhodesian black wood. It's bark is usually grooved and dark brown in colour in the older plants while smooth and grey in younger branches. 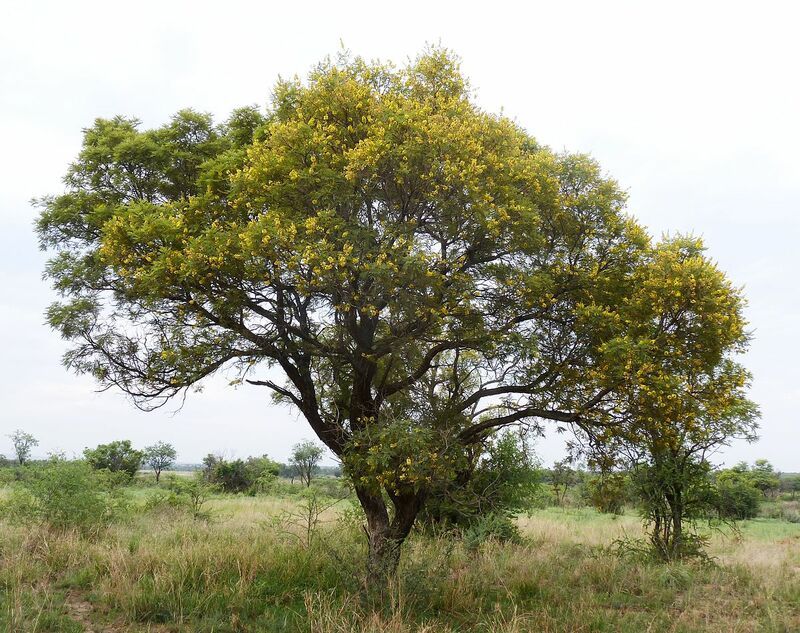 Adorned with feathery, acacia-like leaves and beautiful yellow flowers with crimped petals at the end of the branches, this useful tree is an important source of pollen for bees, birds and other insects. Aside from this tree’s medicinal properties, the Weeping wattle is also employed in other ways. The young leaves and pods serve as food for livestock, a food source for bees (the flowers are known to produce higher yields of nectar and pollen than other plants), the timber is used for furniture making, carving, manufacturing of ornaments and pounding blocks. The branches and leaves in their dry form can also be used as fuel for cooking while it's wide canopy and numerous leaves makes it a good shade for both livestock and humans during the heat of midday. The next time you’re on safari in Africa, look out for the Weeping wattle, and take a moment to appreciate its importance in maintaining the ecosystem that surrounds it. You can now identify the Weeping wattle with the MyTree mobile app, an affordable and nifty bit of technology that allows you to immerse yourself in your African safari experience. Want to know about the cost of an African safari? Visit us here to compare prices and meet your budget.